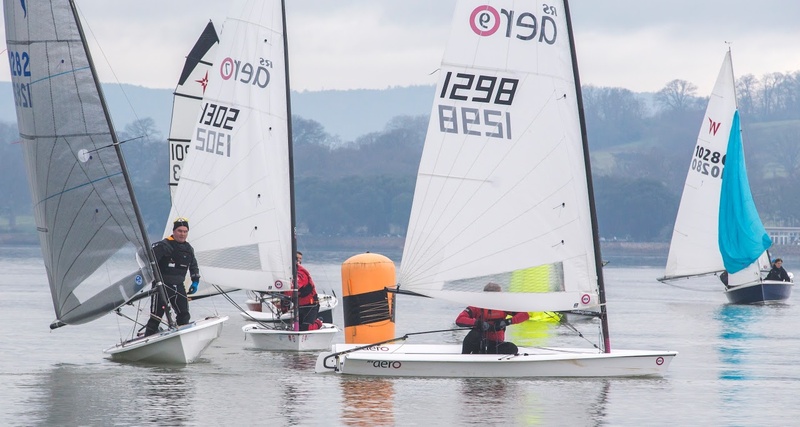 The RS Aero class was well represented at the 2016 Exe Sails Starcross Steamer Pursuit Race. From an initial entry of thirteen, ten RS Aeros ventured out to the start line. The two RS Aero 7s had a 3-minute PY head start on the eight RS Aero 9s, in the total fleet of nearly 100 starters. It turned out in this instance that, with an ebbing tide and light Northerly wind, the extra sail area of the 9s more than made up for the gap between the starts. Karl Thorne and Nev Herbert in their 7s chose to track the middle of the first beat but struggled to make the tide on their bows. When the 9s started Peter Barton chose a lane of clear air and took the lead, making the most of the wind available. A good start and clear air for Steve Bailey moved him into the top three RS Aero 9s (not bad for a first sail in the boat!). Peter continued to track ahead of the pack from the windward mark onto the first reach followed by Karl and Rich Watsham. By the time the Aeros finished their reach across to the Eastern side of the estuary, the Northerly wind was failing and the whole pursuit fleet began to bunch up. Peter made the most of his position clear ahead of the pack and drew away in the last of the dying breeze. The estuary became becalmed and mirror like just as Peter and Rich made the second windward mark. The rest of the Aero pack and pursuit fleet became trapped at this time by the tide and were unable to make the mark rounding. With very little wind, and a strong ebbing tide Peter and Rich drifted towards the next mark, some quick thinking by Peter saw him bias his course above the next wing mark. Unfortunately Rich wasn’t as quick and got caught in the full flow of the tide, struggling to make the wing mark. The bulk of the fleet remained on the second beat and drifted backwards. Rich sat close to the wing mark trying to make the tide. Peter navigated his way down tide meeting the front of the pursuit fleet who were making little progress against the tide after the leeward mark. In the last 20 minutes of the race a band of Southerly wind reaching about 10kn filled in from the bottom of the estuary, turning the course on its head. The main fleet were now able to make the tide and round the second windward mark. Rich rounded the wing mark and regained the course. It was however Peter that fully capitalised on the new wind picking off the leading Enterprises, Lasers and Solos to ultimately take not only the honours of first RS Aero, but overall first place too! Starcross YC did a fantastic job of hosting all 97 boats, with a great galley, bar and shore side team support. A special mention should go to John Donavan the PRO who made the most of the very tricky conditions and Exe Sails, the event sponsors. The next race in the Southwest Winter Series is the Roadford Rocket now on Sunday 28th February followed by the Wimbleball Beastie on Sunday 20th March. The next round of the RS Aero UK Winter Series is the Steve Nicholson Trophy on Saturday 30th January, which already has 15 RS Aero entries signed up a week in advance. 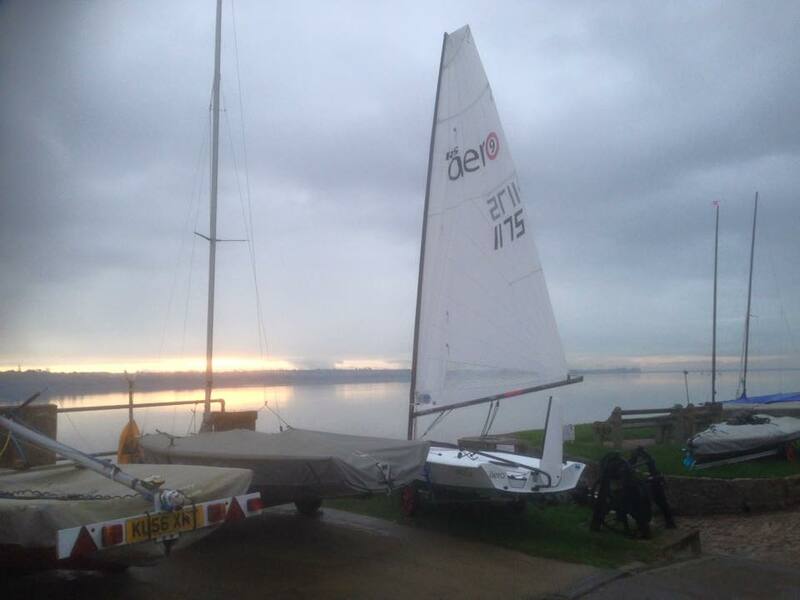 Photo; RS Aero rigged and raring to go at Starcross on Steamer day as the sun rises over the Exe!